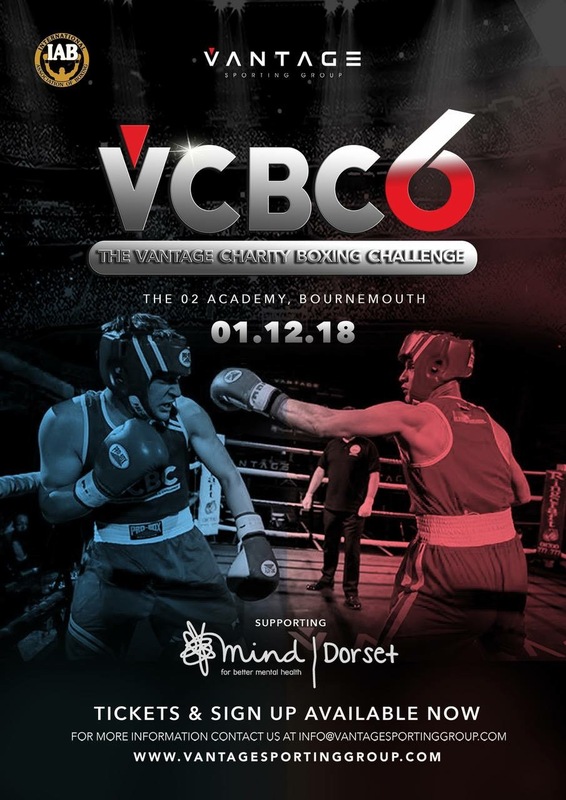 On Saturday 1st December, Vantage Sporting Group are hosting their 6th Charity Boxing Challenge. 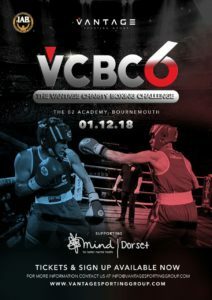 VCBC6 is set to take place at the O2 Academy, Bournemouth – a brilliant venue for the white collar boxing event. For this challenge Vantage have chosen to support Dorset Mind once more. The event is also being held in loving memory of VCBC Trainer Johnny Whittam. Bruce Clarkson who took part in VCBC4 spoke about his reasons for taking part – it was hugely personal to him. “Depression and other mental health issues still have a certain taboo about them and only those who have lived through it, or with someone who’s suffered can truly understand the difficulties it brings but also truly appreciate the help of charities such as Dorset Mind. I for one wouldn’t be where I am today without this type of support and can’t thank them enough for the great work they do!! If you would like to support the boxers, please click here to donate to their Just Giving page!